It has been a time of change at Firefly. 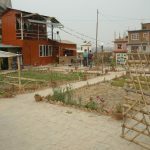 We have relocated our city home to a property 40 minutes walk away where we can be a lot more sustainable, grow our own vegetables and have a little more outside space. With all our children, we continue to engage in the process of reintegration. If any relatives we contact that are in a position take the children in and bring them up or if there any parents released from prison, we begin a process to incorporate them back into village or family life. This takes many months in some cases, but we always ensure the reintegrated children continue with their education and are 100 percent content. This week we see Sajina, who has been with us since she was 4 years old, reintegrated with her maternal Aunty. 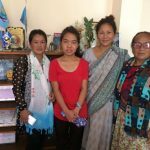 Sajina will live in a suburb of Kathmandu and finish college under the love and guidance of her mothers’ sisters, with our continued sponsorship. Sajina is sad to leave her Firefly home but is very happy to be reunited with her Aunties and learn something of her family history. Sajina, along with Laxmi and Kasmir, some of our teenage Fireflies, are now working part time in a clothes fashion shop, after school. This is a fantastic stepping stone to gaining confidence in the work place and earning pocket money towards personal items they need as teenagers. They feel empowered to be learning independence and providing for themselves in a small way. All three remain committed to their future studies and careers, but are embracing this work experience and money management. 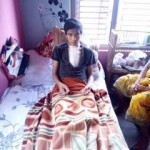 Another one of our teenagers, Sabin, has undergone heart surgery. We are extremely thankful to all the people who helped make it happen; the financial donors and especially the Nepalis who gave blood and donated funds at the last minute. Sabin is recovering well; still weak but at home in the care of our wonderful didi’s who are joyfully bringing him back to full health. Thank you for your interest and commitment in helping these children live hopeful and bright futures.